As the summer comes to an end, the children go back to school and the post-holiday blues start to set in, why not brighten up the day by starting to plan your next cruise? We have been checking out the latest ocean and river cruise deals, and there are some excellent offers out there. 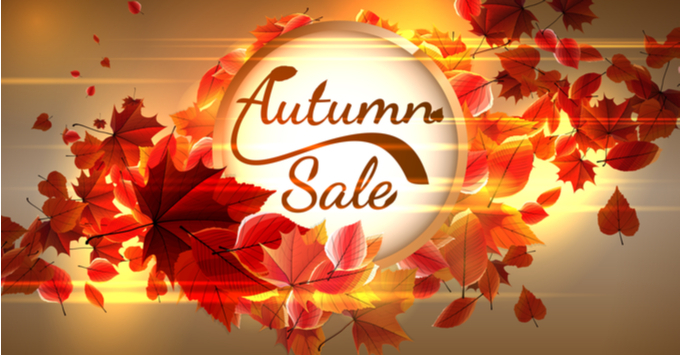 Keep checking back, as we'll be updating these autumn deals when more come in. What it is:: Upgrade from an inside cabin to a balcony stateroom from £70 per person. Eligible voyages include:: Seven-night Caribbean round-trip Miami voyage departing November 25, 2018; seven-night Barcelona to Southampton sailing departing May 7, 2019; three-night round-trip Southampton taster cruise departing May 25, 2019. What it is:: Round-trip economy class air fares for £99. Eligible voyages include:: More than 25 European sailings including departures from Amsterdam, Copenhagen and Barcelona. What it is:: Complimentary flights and transfers or up to $375 per person onboard credit on 800 sailings in 2019/20. Eligible voyages include:: Six-night Scandinavian round-trip Southampton sailing departing April 27, 2019; six-night Athens to Barcelona cruise departing August 3, 2019; 24-night Canada and New England round-trip Southampton cruise departing December 14, 2019. What it is: Complimentary flights and transfers included on 191 itineraries in summer 2020/winter 2021. Eligible voyages include: Eight-night Iceland cruise departing Reykjavik on June 29, 2020; 10-night inaugural Mediterranean voyage on Silver Moon departing Trieste on August 6, 2020. What it is: Autumn cruise deals starting from less than £950 per person. Eligible voyages include: Seven-night "Paradise Islands" round-trip cruise from Barbados departing November 11, 2018; seven-night Mediterranean cruise from Malaga to Naples departing November 8, 2018, and a seven-night "Colourful Coasts" sailing from Las Palmas to Tenerife departing November 16, 2018. What it is: Cruises starting from £369 per person with Royal Caribbean. Eligible voyages include: 13-night U.S. East Coast transatlantic sailing departing Southampton November 15, 2018; three-night France and Belgium taster cruise departing Southampton May 25, 2019; six-night Western Caribbean round-trip Miami sailing departing November 5, 2018. What it is: Special prices on autumn sailings with fares starting from £679 per person. Eligible voyages include: 14-night Caribbean cruise departing Barbados November 16, 2018; 10-night Spain and Portugal round-trip Southampton sailing departing November 21, 2018. What it is: Complimentary drinks package on 15 Norwegian itineraries with Fred. Olsen Cruise Lines. Eligible voyages include: Eight-night "Norwegian Fjords & Cities" sailing departing Southampton May 18, 2019; seven-night "The Best of the Fjords in Seven Nights" sailing departing Rosyth July 25, 2019; nine-night "Scenic Fjords of Norway" cruise departing Dover August 28, 2019. What it is: Interior to oceanview cabin upgrades from £23 per person on Caribbean itineraries. Eligible voyages include: Seven-night round-trip Fort Canaveral cruise departing October 14, 2018; 14-night Southampton to Fort Lauderdale itinerary departing October 28, 2018; 13-night Southampton to Miami cruise departing November 5, 2018. What it is: 4-night "Islands of the Canaries" cruise departing Southampton October 28, 2018; 14-night "Islands of the Indian Ocean" itinerary departing Mauritius November 1, 2018; seven-night France and Belgium wartime memorial cruise departing Southampton November 8, 2018; 14-night "Sailing to the Caribbean" cruise departing Southampton November 12, 2018; 12-night mystery cruise departing Southampton November 12, 2018. Eligible voyages include: Almost 1,000 sailings from the U.K. and worldwide destinations including Asia, the Caribbean, Australia, Alaska, Hawaii and South America in 2019 and 2020. What it is: Ex-Southampton seven-night round-trip cruise timed to commemorate the centenary of the end of World War One and visiting Ypres, memorials and other wartime sights from £639pp. Eligible voyages include: Sailing departing November 8, 2018. What it is: Cruises Southampton from £649 per person and fly-cruises from £1,141. Eligible voyages include: Seven-night Eastern Caribbean round-trip Port Canaveral cruise departing November 11, 2018; seven-night "Northern Europe Cityscapes" Southampton round-trip sailing departing May 18, 2019; 13-night France, Spain and Portugal itinerary departing May 24, 2019. Eligible voyages include: 16-night "Indonesian Island Discovery" cruise departing November 26, 2019, and 16-night "The Mediterranean and Her Islands" voyage departing April 2, 2020. What it is: Complimentary workshops and seminars hosted by award-winning landscape photographer Nori Jemil in Patagonia and Cape Horn. Eligible voyages include: Four-night "The Fjords of Tierra del Fuego" itinerary departing February 17, 2019; four-night "The Patagonian Explorer" voyage departing February 21, 2019. What it is: Save £100 per booking on cruises departing November 1, 2018, to October 31, 2019, quoting code CRUISE100. Eligible voyages include: 14-night Far East cruise on Marella Discovery departing January 17, 2019; 7-night adult-only Mediterranean cruise departing May 8, 2019. What it is: Fares from £3,500 per person, a saving of 10 percent, on combined passenger-cargo ship Aranui 5. Eligible voyages include: 12-night sailings departing January 26, February 14 and March 2, 2019. What it is: Early booking savings and shipboard spending credit of up to $2,500 per person. Eligible voyages include: Full cruise or sections of 139-night world cruise from Miami to Dover departing January 5, 2021. What it is: Savings of $1,000 per person on One World Expedition's newest ship RCGS Resolute. Eligible voyages include: 9-night "Central America Explorer" Panama to Mexico sailing departing May 2, 2019. What it is: Free drinks package worth £450 for first two passengers and soft drinks package for additional guests. Eligible voyages include: 9-night Rome round-trip sailing departing August 10, 2019. What it is: Save £421 on full charter self-drive cruise through Amsterdam and its surroundings on board a boat sleeping up to ten. Eligible voyages include: Seven-night round-trip Vinkeveen sailing departing April 12, 2019. What it is: New taster and themed cruises on French canals and waterways starting from £395pp. Eligible voyages include: Two-night bird-watching sailing on the Somme departing March 25, 2019; two-night Mother's Day cruise on the River Somme departing March 31, 2019; seven-day beer-themed cruise on the Canal de St Quentin departing April 16, 2019; six-night Champagne voyage on the Marne departing May 1, 2019. What it is: Save up to £300 per cabin on all 2019 sailings on MS Volga Dream. Eligible voyages include: 10-night Moscow to St Petersburg itinerary; 10-night Moscow to Volgograd cruise; 12-night St Petersburg to Moscow sailing. What it is: Savings of up to 20 percent and reduced10 percent deposit on self-drive boat holidays in 2019 and 50th anniversary gift with first 50 bookings. Eligible voyages include: Selected cruises for highest discount and 5 per cent discount on all cruises on the Horizon fleet. What it is: Solo supplements waived offering savings of up to £522pp. Eligible voyages include: Seven-night "Colours of Autumn" itinerary departing October 30, 2018. What it is: Savings of 15 percent for Cruise Critic readers quoting special offer code CCSC. Eligible voyages include: All departures from now until April 2019. What it is: Save up to £150 per person on Rhine sailing. Eligible voyages include: 7-night Basel to Amsterdam itinerary departing May 17 and 31, June 4 and 18, September 10 and 24, 2019. What it is: Complimentary air fares plus five-star Prague hotel for passengers booking French balcony suites. What it is: Discounts of up to £1,360 per cabin on Brahmaputra cruises and £300 on Russia sailings. Eligible voyages include: All 2019 cruises from Moscow to St Petersburg; 9-night Kolkata land-stay and Brahmaputra cruise departing January 10 and March 21, 2019.